I have a 250G disk on my Mac with around 100G in use. But the system reports only around 20G of free space. I'm using macOS 10.13.2. I have the problem at least since the upgrade to High Sierra, but probably also before. 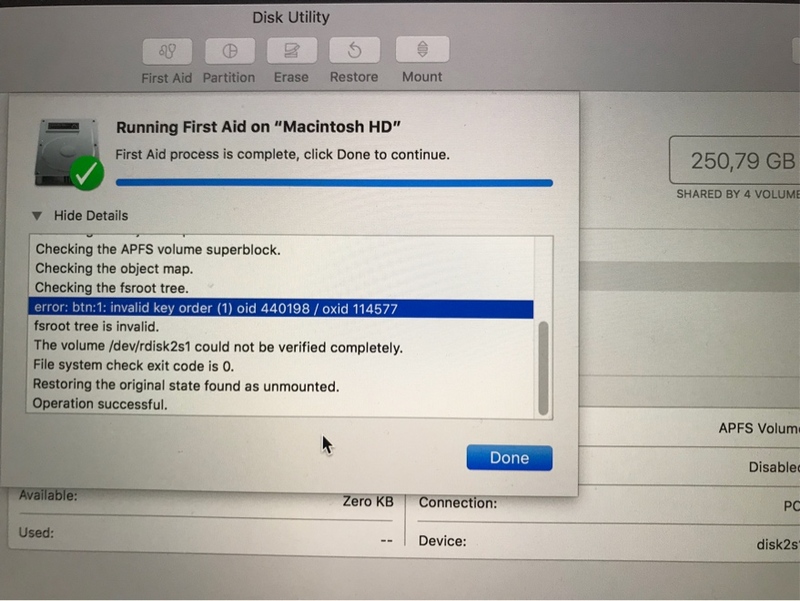 Any tool I was using (Finder, Disk Inventory X, etc.) shows more or less the same numbers like df and du. ... but with no success. So what could consume more than 100G of disk space without showing up in any tool? I've also noticed in my own use that if I use a tool like DiskInventory or Grand Perspective and there are other users on the system, they won't show the size of other users files if I don't have read access to them (reasonably so). If you have other users on your system, they may have large files in their home directory you're not seeing. I finally reinstalled the system after erasing the volume. With a Time Machine backup it was more or less a smooth experience. Now I have 170G of free space. I think I have found the answer to this. I've successfully solved my own issue of lost hd space which seems to have happened due to deleting g files over a network which deletes the files but leaves behind a hidden file called an smbdelete file. Here's how to get rid of it. This shows all hidden files in OSX. I suffered a similar problem, only 800gb available from the 1tb. to fix it, I boot up using ubuntu usb drive for macOS, then I can see the missing 200gb space. I deleted both the 200gb and 800gb from ubuntu. then boot up Mojave and the 1tb is all there. Commands given below resolved the issue for me. Listed and deleted local snapshot and it freed 230 GB on my machine.In step 2, you enter the date/time received from step 1. Not the answer you're looking for? Browse other questions tagged macos storage disk-space .